Ulster County has an astonishing array of sites, structures, and objects that attest to its Revolutionary War, Civil War, industrial, agricultural, and political past and have historical significance. All have left their mark. 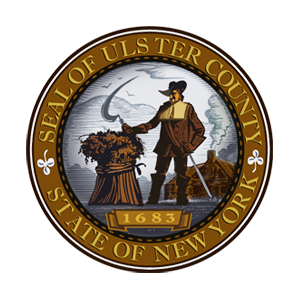 I invite you to learn about some of the amazing history that surrounds us and attend some of the many great events being held by many of our amazing organizations in Ulster County! The year 2018 marks the 200th anniversary of the rebuilding of the Ulster County Courthouse. In celebration of this anniversary, this exhibit chronicles the Courthouse from its founding in 1661, to its present-day form. In the exhibit, you will see biographies highlighting prominent local and national figures in law and politics, Dutch Records of the first courthouse, a timeline of Ulster County courts, and the New York State Constitution, which was drafted and read aloud at the Courthouse. On display at the Ulster County Clerk’s Archives Gallery on the 2nd Floor of the County Office Building, 244 Fair Street, Kingston, NY. Weekdays during Cultural Heritage Week and until 12/31 from 9:00am-4:45pm. This year marks the 360th anniversary of the 1658 Order to Build the Stockade, the oldest record on file at the County Clerk’s Office. In commemoration of this important piece of our shared history, the County Clerk’s Office is featuring an exhibit showcasing the records surrounding this momentous event. This exhibit focuses on the origins of the Ulster County Clerk’s oldest record series, The Dutch Records Collection. On May 31, 1658, Director-General Peter Stuyvesant ordered the settlers to abandon their scattered dwellings and move to a central, defensible location surrounded by palisades (also known as a Stockade). This record not only marks the origin of the Dutch Records Collection, but it also marks the origin of the “Stockade District” in uptown Kingston. The records on display will bring you on a journey back through time to an era when Kingston was a quaint farming village bustling with European settlers. Available to view at the Ulster County Records Center, 300 Foxhall Ave., Kingston, NY. Weekdays during Cultural Heritage Week and until 12/31 from 9:00am-4:45pm. The Ulster County Clerk’s Office presents an exhibit at the Matthewis Persen House Museum titled From the Ashes: Kingston After the Burning. This exhibit focuses on the period of time immediately following the Burning of Kingston. The exhibit features records that show what the residents were doing to reconstruct their community and rebuild their lives and livelihoods. Documents on display include (among others) excerpts from the Trustees of Kingston Minutes c. 1777-1783, Oaths of Allegiance to the newly formed free and independent state of New York c. 1788, and the Laws of New York State featuring the first constitution of the State of New York, ratified and read in Kingston. On display at the Matthewis Persen House Museum, 74 John St., Kingston, NY. Saturdays during Cultural Heritage Week, 10/13 & 10/20 and through 11/17 from 10:00am-2:00pm. The legacy of the Dutch settlers of Wiltwyck lives on at the Matthewis Persen House. The house sits on Kingston’s historic “four corners” and was originally owned by Gysbert Van Imbroch. An inventory listing Gysbert’s possessions at the time of his death in 1665 is brought to life through illustrations of clothing, kitchen items, and other articles used in 17th century daily life. The inventory also depicts items Gysbert used in his profession as a barber-surgeon as well as his book collection, one of the largest book collections in the New World. Step back in time with Gysbert’s Inventory. This exhibit was made possible through a grant from the New York State Archives Records Management Improvement Fund in the 2015-2016 grant cycle. Learn about the importance of protecting our documented history and how the Ulster County Clerk’s Office safeguards the records by viewing the short film associated with the exhibit titled The Ulster County Clerk’s Office: Keeper of the Records. On display at the Matthewis Persen House Museum, 74 John St., Kingston, NY. Saturdays during Cultural Heritage Week, 10/13 & 10/20 and through 11/17 from 10:00am-2:00pm. This exhibit features some of the many artifacts found in the archaeological excavation at the Persen House. Take a peek at a 1200 BC projectile point and the Bodkin, which is one of only three ever found in New York State. From cannonballs to dominoes, and pottery to roofing tiles, the artifacts found in the dig varied greatly in type, age and use. See some of the most unique and never before displayed artifacts on display. Explore, learn more and have some fun all at the same time! On display at the Matthewis Persen House Museum, 74 John St., Kingston, NY. Saturdays during Cultural Heritage Week, 10/13 & 10/20 and through 11/17 from 10:00am-2:00pm. On April 20, 1777, the Fourth Provincial Congress, then New York’s only government, adopted the State’s first constitution at the Ulster County Courthouse. In British eyes, this established Kingston as a hotbed of revolution and therefore worthy of attack, which they did in October of that same year. View this revolutionary document at the Persen House as we celebrate the history of the Ulster County Courthouse this fall. On display at the Matthewis Persen House Museum, 74 John St., Kingston, NY. Saturdays during Cultural Heritage Week, 10/13 & 10/20 and through 11/17 from 10:00am-2:00pm. The County Clerk’s Office is honored to collaborate with the Ellenville Public Library and Museumby providing records from the Ulster County Archives on exhibit at the Library. As you look through the exhibit, you will find records from the Archives that highlight hardworking local women in the early 20th century. On display you will see Deeds, Farm Registries, Ashokan Reservoir Case Transcripts, Maps, Physician Registries, Photographs, and Census Data from the 1905 and 1915 Ulster County Census records. We hope that the exhibit encourages you to learn more about the amazing women in Ulster County’s history. On display at the Ellenville Public Library & Museum, 40 Center Street, Ellenville, NY.Visit http://eplm.org/ for more information. During Cultural Heritage Week and through the end of the year. Monday-Wednesday 10/15-10/17, 9:30am-8pm; Thursday & Fridays, 10/12, 10/18 & 10/19, 9:30am-6pm; Saturdays 10/13&10/20, 9:30am-3pm. The Ulster County Clerk’s Office is pleased to collaborate with the Olive Free Library, and bring to you a piece of the history behind the construction of the Ashokan Reservoir. The Ashokan Reservoir was constructed between the years of 1905 and 1916 for the sole purpose of providing New York City with fresh water. As a result of this monumental project, numerous records were produced. These records document the transfer of land from the local inhabitants and also put the viewer back in the court room listening to first person testimony when the claimants were suing the Board of Water Supply for additional compensation. Visit http://olivefreelibrary.org/ for more information. On display at the Olive Free Library, 4033 NY-28A, West Shokan, NY. During Cultural Heritage Week and through the end of the year. Mondays & Tuesdays 10/15 & 10/16, 10am-8pm; Wednesdays & Thursdays 10/17 & 10/18, 1pm-8pm; Fridays 10/12 & 10/19, 1pm-5pm; Saturdays 10/13 & 10/20, 10am-4pm. Silence is Never the Answer – You are invited to a Community Discussion – Dog Whistle Politics & Local Elections with 3 Courageous Leaders: Historian Dr. A.J. Williams-Myers, esteemed professor Emeritus of Black Studies at SUNY New Paltz, Ph.D. in African Studies form UCLA, and well published historian; Revolutionary Paul Bermanzohn, lifelong revolutionary who was shot in the head at the Greensboro Massacre in 1979; and Community Activist Tyrone Wilson, Founder and Executive Director of Harambee (Pulling people together), Community Organizer, New Progressive Baptist Church. This event is sponsored by the A.J. Williams-Myers African Roots Library and Harambee. There will be Cookies, Coffee and mingling. No admission, all are welcome. For more information contact Mr. Winfield at 914-388-3092. 43 Gill Street, Kingston, NY. 10/19, 6:30pm-8:30pm. Fall Family Fun Fest - Celebrate fall in the Catskills with the whole family! Participate in a variety of fun activities such as apple cidering, hayrides, nature hikes, face painting, pumpkin painting, blacksmithing, broom making, crafts and much more! Enjoy food and live music with Jay Unger and Molly Mason and friends. Entry is $5 per person and children ages 12 and under are free! The Ashokan Center is located at 477 Beaverkill Road, Olivebridge, NY 12461. 10/21, 10am-4pm. Blacksmith Shop - Come visit a working blacksmith shop with a display of old tools and historic hardware and get a chance to view some work at the forge and anvil. Free admission. Overlooking the Rondout Creek and adjacent to the old D&H Canal, 496 Towpath, High Falls, NY. 10/16-10/19, 10:30am to 5pm, 10/20 & 10/21 by appointment - please call ahead (845) 687-7130. Free Guided Five Locks Walk – D & H Historical Society will be hosting a free guided tour of the Five Locks Walk led by Deputy Director for Collections, Bill Merchant. The walk is on a mostly flat 0.5 mile one-way trail along the towpath of the Delaware & Hudson Canal in High Falls. The High Falls locks (016-20) were built in 1847, as part of a new route designed to accommodate increased traffic and larger canal boats and this section included a loading quay still visible just past lock 16. The canal locks were constructed of Shawangunk conglomerate, an indigenous stone. Each lock measured 90’ long, 15’ wide, and 15’ deep, and provided an average change in elevation of 12.6’. For more information call 845-687-2000 or email info[at]canalmuseum[dot]org. Meet at the D&H Canal Museum at 23 Mohonk Rd., High Falls, NY. Sunday, 10/21, 2pm-3:30pm. Visit the Canal Museum -The Canal Museum's exhibits portray the canal’s history and include a working model of a lock, a life-sized recreated canal boat cabin, a moving model of a gravity railroad brake car and dioramas of the gravity railroad and canal life, as well as other items. Many tools and artifacts are on display. For more information call 845-687-9311. Admission for the Museum is $5 for adult non-members, $3 for children. Museum is located at 23 Mohonk Rd., High Falls, NY. Museum: 10/13, 10/14, 10/20, 10/21 10am–4:30pm. Terwilliger House – Visit this late nineteenth century Queen Anne Victorian house built in 1895 by George Deyo. The Terwilliger House is the perfect setting for Ellenville Public Library & Museum's local history collection which includes artifacts from Ellenville Glass Works and stoneware from Ellenville Pottery, as well as products of industries that flourished in the heyday of the Delaware and Hudson Canal. Visitors will find glass plate negatives, historic post cards, oral history CDs, and research files containing articles, and ephemera and photographs. The Terwilliger House is open Wednesdays and Fridays, 10/12, 10/17, 10/19 12pm- 4pm, Saturdays 10/13 & 10/20 10am-3pm. “Charles Keefe, Colonial Revival Architect in Kingston and New York – Visit the Friends of Historic Kingston’s exhibit from their archives highlighting the works of the architect Charles Keefe. The exhibit is to accompany the publication of the most recent work by William B. Rhoads, Professor Emeritus of Art History at SUNY New Paltz, the author of Charles S. Keefe (1876-1946): Colonial Revival Architect In Kingston And New York, newly published by Black Dome Press. The abundantly illustrated book is a richly detailed and colorful account of Keefe's professional career and private life in Kingston and will be available for purchase at the gallery. Charles S. Keefe was a leading Kingston architect with a national reputation as a designer of Colonial houses. While he maintained an office in New York and his clients hailed from New England to California with others in Canada and Ecuador, Kingston was always his home base and the site of important houses planned for the Arnold, Downer and Matthews families, as well as quarters for the Knights of Columbus and American Legion. For more information call 845-339-0720. Friends of Historic Kingston Gallery, corner of Wall and Main Streets, Kingston, NY. Fridays & Saturdays, 10/12, 10/13, 10/19, 10/20 from 11am-4pm. Tour of the Gomez Mill House – Take a tour of the Gomez Mill House built in 1714 by Louis Moses Gomez and view the contributions of former Mill House owners to the multicultural history of the Hudson River Valley. It is the oldest extant Jewish dwelling in North America continuously lived in for nearly three centuries. For more information call 845-236-3126. Admission will be half price for Ulster County residents with identification during Cultural Heritage Week. For more information call 845-236-3126. Gomez Mill House located at 11 Mill House Rd., Marlboro, NY. (Wednesdays-Sundays) 10/12-10/14 & 10/17–10/21, Tours given at 10:30am, 1:15pm & 2:45pm. “Living in Style: A Special Tour with George Way” - Take a tour of the special exhibition Living in Style: Selections from the George Way Collection of Dutch Fine and Decorative Art. Featuring more than 100 17th- and 18th-century Dutch items from the Netherlands—including 22 oil paintings, a rich diversity of interior furnishings, and decorative and utilitarian objects—the exhibition is installed in a period room in the historic Jean Hasbrouck House (ca. 1721) and celebrates the Dutch culture that flourished in the 1600s and 1700s in New York State’s New Netherland Colony. George Way will lead a private exhibition tour Sunday, October 14th. Private tours are $20 ($18 for seniors, active military members, veterans, students, and members of HHS). Dubois Fort Visitor Center, 81 Huguenot St., New Paltz, NY. 10/14, 2pm-4pm. The Hudson River Maritime Museum – Visit the Museum during Cultural Heritage Week for a discounted admission of $5 for adults and $3 for children. See their exhibit, "The Hudson River and Its Canals" which feature several hands-on activities, including an interactive model of the canals and locks, as well as a reconstructed interior of a barge family cabin, complete with audio and video throughout the exhibit. 50 Rondout Landing, Kingston, NY. Open daily during Cultural Heritage Week, 10/12-10/21, 11am-5pm. Local Solutions to Global Climate Crises- Attend a special lecture focusing on local solutions to the global climate crisis with guest speaker Manna Jo Green, Environmental Director for Hudson River Sloop Clearwater and Ulster County Climate Smart Committee Chair, to explore solutions to address the Global Climate Crisis here in the Hudson Valley and beyond. Free event. Riverport Wooden Boat School classroom, 50 Rondout Landing, Kingston, NY. Wednesday, 10/17, 7pm. Tom McHugh & Betty and the Baby Boomers Concert - Join the in welcoming Tom McHugh & Betty and the Baby Boomers and for a unique evening of folk rock in the “barn.” Tickets are $35 and snacks will be provided. Price of ticket includes a complimentary Individual Membership. The Barn, 50 Rondout Landing, Kingston, NY. Saturday, 10/20, 7:30pm. The O&W Railway in Ulster County: Stations Along the Way - Come visit the historical exhibit located at the Hurley Heritage Society and view fascinating vintage photos of the stations gathered from the O&W archives. Learn about the kinds of commerce that drew people and goods to the stations and see what the surviving stations look like now. The New York, Ontario and Western Railway, commonly called the O&W, built a branch line from the main line at Summitville to Ellenville in 1871. Thirty years later, in 1902, the branch line was extended to Kingston. These tracks gave interior Ulster County access to Pennsylvania coal fields as well as huge markets in New York City, a real boost to the local economy. Remarkably, seven of the eleven Ulster County stations on this branch still stand today. Three are private residences, one is a business office, one is for sale, and the other two are vacant. The exhibit guides will be on hand to answer your questions. Refreshments will be served and the Museum Shop will be open. Free admission. Hurley Heritage Society, 52 Main St., Hurley, NY. Saturdays & Sundays, 10/13, 10/14 & 10/20, 10/21, 1pm-4pm. Celebration of City of Kingston Historian Edwin Ford - Ulster County Executive Mike Hein invites you to join New York State Historian Devin Lander, Ulster County Clerk Nina Postupack, Ulster County Historian Geoff Miller and a number of local historians and preservationists who have worked closely with Edwin Ford over his 34 years as City of Kingston Historian. Mr. Ford will be celebrated for his many years of service to the community as a champion for historic preservation. The formal presentation will begin at 10:00 a.m. followed by an opportunity to speak with Mr. Ford personally and view a sample of his personal collection of artifacts. The event will run until 2:00p.m. Matthewis Persen House: 74 John Street, Kingston (Corner of Crown and John Streets). Saturday, 10/20, 10am-2pm with a special presentation at 10:00am. Perrine’s Covered Bridge- Visit Perrine’s Covered Bridge, originally built by Benjamin Wood in 1844, which was listed on the National Register of Historic Places as of April 13, 1973. An information table and display boards of existing and past covered bridges in Ulster County will be available inside the bridge. In the afternoon, Ron Knapp, who is an author and has great historical knowledge of the area will be available for questions. Perrine’s Bridge is located on Rt 213 off of Rt. 32 S towards Rifton. 10/13, 11am-4pm. Living History Cemetery Tours- The Old Dutch Church and Theater On The Road will present “Living History Cemetery Tours” in the cemetery of the Old Dutch Church. This year’s tours will begin in the year 1659 and end in 1910. Some of the characters portrayed by the acting troupe will be: Jacob Adriansen, a young man who was the first casualty of the Esopus Indian War; John Vanderlyn, Kingston-born, internationally-known artist; Gen. George Sharp, Kingston native and Civil War hero; Julia Dillon, Kingston native and artist, who also ran an ironworks company; philanthropist Mary Forsyth; and Rev. Roswell Randall Hoes, 19th century clergyman, Dutch historian, and the translator/transcriber of Old Dutch's earliest records dating from 1659. Tickets are $15 Adults, $10 for students and seniors, $1 for children under age 12, and may be reserved at www.theatreontheroad.com or purchased the night of the tour. For more information or to order tickets call (845) 475-7973 OR email theatreontheroad[at]gmail[dot]com. Old Dutch Church, 272 Wall St., Kingston, NY. 10/13, 10/20 & 10/27, 7pm (arrive by 6:45pm). Guided Tours and Half-Price Admission– Opus 40 will offer guided tours by the great grandson of Harvey Fite on October 13th & October 20th. There will also be half price admission when mentioning Cultural Heritage Week. While visiting Opus 40, enjoy free local cider and donuts in their gift shop where there will be specials on merchandise. Admission fee includes visiting the grounds and the gallery, discounted price - $5/person, $3.5/senior citizens and students, $1.50/child ages 6-12. For more information please call (845) 246-3400. Opus 40 Gallery, 50 Fite Road, Saugerties NY 12477. Saturdays, 10/13 & 10/20 11am-5pm, Guided Tours at 11am & 2pm. Tour Hait Hill Cemetery - The Plattekill Historical Preservation Society will host a cemetery tour in the old "Hait Hill Cemetery" aka "East Plattekill Methodist Church Cemetery." Join Libbie Werlau and Shirley Anson as they take you on a tour and speak of those buried in the old cemetery. Please wear comfortable walking shoes/sneakers! Open to the public, free admission. Questions? Call 845-883-6118. Cemetery located at 993 Milton Turnpike, off of Route 44-55 in Ardonia, NY. 10/20, 1pm. Rondout Revisited – Visit the Reher Center’s permanent exhibit, Rondout Revisited, which chronicles the arc of Rondout’s history by focusing on three distinct periods: Circa 1820, Circa 1914, and during the Urban Renewal years. Reher Center Gallery (entrance on Spring Street), 99-101 Broadway, Kingston, NY. 10/13 & 10/20, 2pm - 6pm. History Day – The Saugerties Historical Society invites you to join them for History Day at the DuBois-Kiersted House. Come enjoy exhibits on local history and music performed by the Civil War Group Veterans in a New Field. Free event. Located at the DuBois-Kiersted House, 119 Main Street Saugerties, NY. 10/20, 11am-2pm. Saugerties Pro Musica Concert – Saugerties Pro Musica presents Pianist Olga Gurevich performing: Nikolai Medtner's Sonata Reminiscenza, op. 38 no.1 Rachmaninoff/Mendelssohn Scherzo from “A Midsummer Night’s Dream;” Three Preludes and a Polka by Sergei Rachmaninoff Modest Mussorgsky's Pictures at an Exhibition. Olga Gurevich is a concert pianist, chamber musician, and a piano teacher whose concert appearances in NYC include Carnegie Hall and the 92nd Street Y, plus she has performed on many of the major concert stages in Italy, Azerbaijan, and Russia, to name but a few. She is a winner of international piano competitions both in solo and piano four-hand divisions, and the pianist in residence for Silver Bay String Quartet. Admission for adults is $15, seniors $12, children and students are free of charge. For more information: saugertiespromusica.org (845) 679-5733. Saugerties United Methodist Church, 67 Washington Avenue, Saugerties, NY (Corner of Washington Avenue & Post Street). 10/21, 3pm. 18th Century Autumn Festival – Step back in time with demonstrations of meat smoking, hearthside cooking, pressing apples into cider, as well as blacksmithing which is sponsored by the Palisades Park Conservancy. Visitors will have a chance to make a Cornhusk doll, dip beeswax candles and play with 18th Century toys and games. The Third Ulster Militia will be demonstrating 18th century camp life. This is a free event. 296 Fair St., Kingston, NY. 10/13 11pm-3pm. Guided Tours of the Senate House - Visit New York's first State Capital and explore the house that was the place for the newly formed State Senate. See the art and furnishings at the museum at 296 Fair Street, Kingston, NY. Tours of the site are on the half hour and the last tour begins at 4:30pm. Tickets for the tour are $4 for adults, $3 for seniors, and children 12 and under free. 296 Fair St., Kingston, NY. Wednesdays-Saturdays 10/12, 10/13, 10/17 – 10/20, 10am-5pm and Sundays, 10/14 & 10/21, 1pm-5pm. Tour the Museum – Visit and tourthe Shandaken Historical Museum, housed in the former School District No. 10 Building, a 1925 structure appearing on the National Register of Historical Places. The Museum contains the illustrious history and local family genealogy of the area and includes historical information representing the 12 hamlets of Shandaken. Admission is free, donations appreciated. 26 Academy Street, Pine Hill, NY. Fridays – Sundays 10/12, 10/13, 10/14, & 10/19, 10/20, 10/21, 10am – 4pm. Honoring Saugerties’ Historic Legacy – In recognition of the importance of the Town of Saugerties’ heritage and Ulster County's Cultural Heritage Week, the Town of Saugerties Historic Preservation Commission will have historical reference materials on display relating to the history of Saugerties. Representatives will be available to discuss the material and answer questions. This event will be held under a tent at the Saugerties Farmer’s Market, 115 Main St., Saugerties, NY in the parking lot. 10/13, 10am-2pm. Visit the Trolley Museum of New York – Visit the Trolley Museum of New York to tour their historic collections, including trolleys from Germany, Belgium, Sweden and Norway which are on display. Enjoy their video viewing area, as well as exhibits and interactive, hands-on activities for children. Admission to the museum includes a trolley ride and access to the upper gallery and gift shop. For questions please call (845) 331-3399. Admission for adults $8, Children 6-12 $6, Children 5 and under, first responders, active military and Veterans are free. ($1 Discount on 10/13 if you mention Ulster County Cultural Heritage Week). Trolley Museum of New York, 89 East Strand Street, Kingston, NY. Saturdays & Sundays, 10/13, 10/14, 10/20, 10/21, 12pm-5pm. “Teaching Living History and the 5th New York Zouaves" - Guest speaker Bill Wieneke will present a talk titled “Teaching Living History and the 5th New York Zouaves." Mr. Wieneke, a retired high school history teacher, will discuss the challenges and benefits of teaching history through living history as well as the unique Civil War regiment that he represents. The presentation is free and the public is welcome to attend. Ulster County Legislative Chambers, Ulster County Office Building, 244 Fair Street, 6th Floor, Kingston, NY. 10/25, 7pm. Celebration of City of Kingston Historian Edwin Ford - Ulster County Executive Mike Hein invites you to join New York State Historian Devin Lander, Ulster County Clerk Nina Postupack, Ulster County Historian Geoff Miller and a number of local historians and preservationists who have worked closely with Edwin Ford over his 34 years as City of Kingston Historian. Mr. Ford will be celebrated for his many years of service to the community as a champion for historic preservation. The formal presentation will begin at 10:00 a.m. followed by an opportunity to speak with Mr. Ford personally and view a sample of his personal collection of artifacts. The event will run until 2 p.m. The Mattewis Persen House, 74 John Street, Kingston, NY. 10/20, 10am-2pm. Fall Wreath Workshop for Adults and Children – Attend a fall wreath workshop with Lily Bruder Zal to create a stunning wreath for your doorway using dried flowers, grasses, seed pods and other natural products from Vanishing Point Farm in Highland, NY. Fee of $50 Adults/ $20 children and the fee includes all materials. Reservations required at http://ulstercountyhs.org/events/. Ulster County Historical Society at the Bevier House 2682 Route 209, Marbletown, NY. 10/14, 2pm - 4pm. Women’s Dooryard Gardens of the 18th Century – You are invited to the Ulster County Historical Society’s annual meeting to hear guest speakers Allyson Levy and Scott Serrano of Hortus Conclusus. They will be speaking about Women’s Dooryard Gardens of the 18th Century. Fee of $10 for non-UCHS members. Reservations required and can be made by email to UCHSdirector[at]gmail[dot]com. For more information call 845-377-1040. Ulster County Historical Society at the Bevier House 2682 Route 209, Marbletown, NY. 10/21, 2pm. Veterans History Museum – Visit the Veterans History Museum containing over 300 items of historical interest, focusing on the Saugerties citizens and their participation during wartime. The museum's artifacts range from the French and Indian war to today's wars. Please call for an appointment - Bill Payne, Post Historian at 518-588-5462. Lamouree-Hackett Post 72, American Legion, 30 John St., Saugerties, NY. By appointment only during Cultural Heritage Week. Visit the Volunteer Fireman’s Hall & Museum of Kingston – Housed in the original 1857 home of the Wiltwyck Hose Company. The museum features firefighting artifacts, photos and apparatus including an 1845 hand pumper. For a hands-on experience, you can operate the Gamewell Fire Alarm System or for kids of all ages put on a fire hat and climb onto the 1934 Sanford Fire Engine. Visit 266 Fair Street, Kingston. Free admission, donations appreciated. Open Fridays 10/12 & 10/19, 11am - 3pm, Saturdays 10/13 & 10/20 10am – 4pm. The Haiku Box Project – Visitors to the Byrdcliffe Art Colony will be able to explore the grounds in search of artist-made haiku boxes installed along the wooded mountainside. Leave an anonymous haiku, thought, prayer or secret in the box. Free admission and all are welcome. The Byrdcliffe Art Colony, various locations at/near White Pines, 454 Upper Byrdcliffe Road, Woodstock, NY. Open during daylight hours during Cultural Heritage Week, 10/12-10/21. Thank You To All The Partcipating Organizations!